The website readwriteperform.com is now LIVE. The approach covers every aspect of English - Reading, Writing, Speaking and Listening. We have created and released our first teaching pack. Each teaching pack provides teachers with a unit of planning for English lasting 2-3 weeks. We know this approach works, as all the ideas have been tried and tested in the classroom. The quality of writing and performance from the pupils in my class was phenomenal! What can we learn from Tyrion about Teaching? Like most, I am completely hooked on Game of Thrones! If you haven't seen my other Game of Thrones inspired post, check it out - 12 Game of Thrones Teachers You See in Every School. One of my favourite characters in the series has to be Tyrion. People have such little faith in him. Yet he is constantly proving people wrong and challenging their misconceptions about him. He is almost the perfect metaphor for teachers as it seems the 'powers that be' have a similar faith in teachers. But we are constantly proving them wrong. This weekend, social media has been flooded with positive messages for teachers and students in preparation for the upcoming SATs that are asking A LOT from children, to say the least! Let these thoughts from Tyrion inspire you to get you through this week and motivate you to keep doing the amazing job you do day in day out. "You love your children. It's your one redeeming quality; that and your cheekbones." 15 examples of when the show "Friends" perfectly captured life as a teacher! Creating our own Minibeasts app! 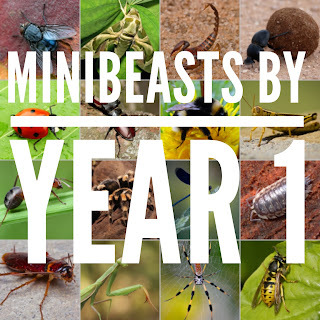 In Year 1, our latest topic is Minibeasts. As a class, the children have turned all their knowledge into their own app! We started by splitting the class into groups of 3 and assigning them a minibeast to research. We tried to focus on three questions - What does it look like?What does it eat?Where does it live? The children then had to use the iPads to research and try to find answers to the questions. They used the app Shadow Puppets Edu to create a short video to share their learning. Each group then worked alongside me to add their video into the app. The app was created in the brilliant Touch App Creator. For a more in-depth tutorial on how to use this app, check out my book - 50+ iPad lessons for Teaching Non-Fiction. This was created using the app - FX Guru. The app has loads of special effect clips that you can film on top of any picture or video. As you can see from this clip, we created a scene showing a robot destroying the playground. It worked, the children were totally hooked. I immediately hit them with their mission: they had to design a robot that would beat the rogue robot in the video and save the school. Firstly, we had to report what had happened and so created a news report explaining the situation. This was done in our Media Suite using Greenscreen.